Intrim® Pyramid 94×94 corner blocks are decorated wooden squares used at the intersection of two materials, such as the top corner of a door architrave. Corner blocks are an excellent way to eliminate messy angled architrave joins while adding a custom detail to an interior. 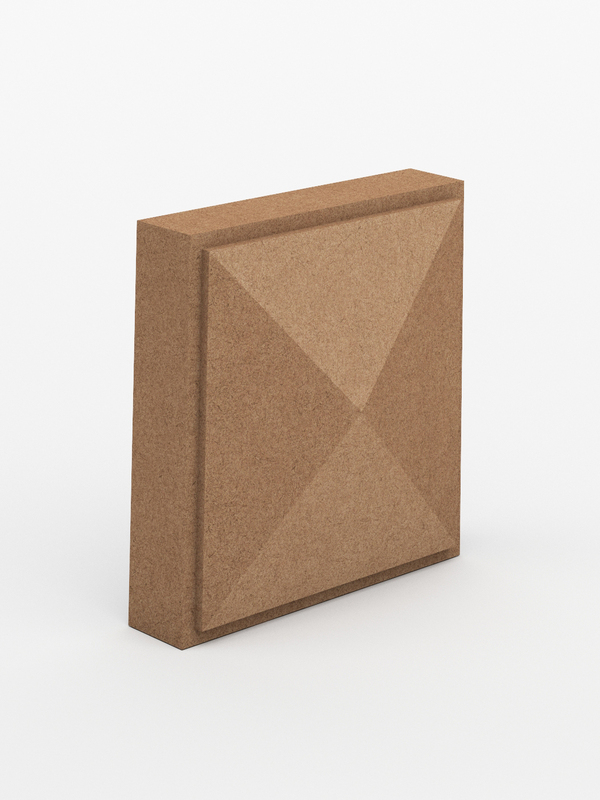 Available in either a pyramid or rosette design in 94mm wide and 30mm thick, and crafted in MDF only.